It's probably just a matter of time. As more people become aware that alternative energies are far healthier for the environment and humankind, they'll also start to realize the greatest plant-sourced biomass is industrial hemp. Oddly enough, most people aren't much aware of hemp even though it's been commercially grown for 12,000 years. Our founding fathers were plenty aware of it. From NAIHC (North American Industrial Hemp Council), Washington and Jefferson both grew hemp. Ben Franklin owned a mill that made hemp paper, which is what the Declaration of Independence is written on. When US sources of 'Manila' hemp was cut off by the Japanese in WWII, the US Army and Department of Agriculture promoted the 'Hemp for Victory' campaign to grow more hemp in the US. Because of its importance for sails and rope for ships, hemp was a required crop in the American colonies. Funny, it used to be a required crop! From VenusProject.com: All schoolbooks were made from hemp or flax paper until the 1880s. It was LEGAL TO PAY TAXES WITH HEMP in America from 1631 until the early 1900s. REFUSING TO GROW HEMP in America during the 17th, 18th and 19th Centuries WAS AGAINST THE LAW! You could be jailed in Virginia for refusing to grow hemp from 1763 to 1769. Wow. This video is on Henry Ford's hemp car, an entire car made by hemp plastic that ran on, you guessed it, hemp fuel. Watch him fail to dent the body with an axe. An AXE! The car is far lighter than steel bodied cars and yet ten times as strong. Think about the impact on fuel conservation and saving lives this could have had. Why didn't Ford continue with his hemp car? Great question. The Marijuana Tax act of 1937 by the US Government effectively made it unaffordable to grow and doomed all production of industrial hemp even though it had been a staple crop of most farmers before then. Speculation has it that pressure from big money like Dupont Chemical, Rockefeller's US Steel, Randolph Hearst's newspaper business and the timber industry had much to lose and played heavily into the mix. It's a shame that happened. The good news is others are finally stepping up to the plate. No army can keep a great truth from rising eventually. 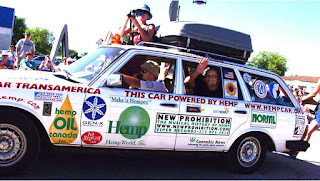 This photo is from the good people at Hempcar.org who drove this sweet Mercedes wagon 13,000 miles across America to help spread awareness. BTW, you can't get high on industrial hemp products if that is concerning anyone. Where do we go from here? I don't know, but raising awareness is a big part of the battle. "What can I do?" you might ask. Support anything in any form that has to do with industrial hemp or hemp products. They're starting to pop up everywhere. Last month my wife bought me a bottle of hemp lotion. I love it, and no, it doesn't get me high. What do you think about all this? Add a comment. 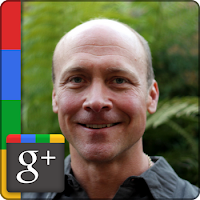 Home Page of author Jason Matthews. Hemp has so much to offer and finally folks are discovering it. For all the years we believed soy was good, we never realized that hemp is better. Hemp is lower in sodium and does not have the estrogen producing effects which imbalance hormones and are linked to breast cancer - yes, in women AND men. I just saw a bottle of hemp lotion in a sweet little old lady's house I was helping to clean. When I lived in Canada, every product line in the health food stores had a hemp version from hemp ice cream, to cookies, crackers, protein shakes, shampoos and lotions. I believe this plant can turn around economies worldwide by bringing prosperity and health.